This woman had no idea her kidney donation would set off a chain reaction. When Zully Broussard decided to donate one of her kidneys to a stranger, she had no idea her act of kindness would spur five more people to donate their kidneys to strangers as part of a rare kidney transplant chain. Broussard, of Sacramento, California, underwent surgery at California Pacific Medical Center in San Francisco Thursday, donating her kidney to a man whose relative wasn't able to donate because the relative wasn't a compatible match. That relative then donated a kidney to a stranger who was a match, and the chain continued, with recipients' loved ones donating until six people gave kidneys and six more received them. "I thought I was going to help this one person who I don't know, but the fact that so many people can have a life extension, that's pretty big," Broussard told ABC's San Francisco station KGO. 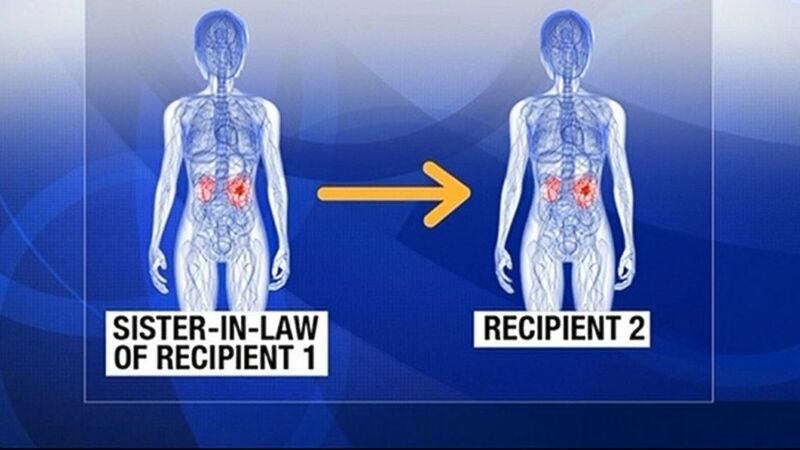 (KGO) The chain involves 12 strangers: six donors and six recipients. Half of the surgeries took place Thursday, and the rest are taking place today, according to the hospital. Dr. Steven Katznelson, who directs the California Pacific Medical Center transplant program, said Broussard had wanted to donate a kidney "some time ago" to a specific recipient, but that recipient wound up receiving a kidney from a deceased donor instead. She decided she still wanted to be a donor, and approached the hospital. "She's just an amazing person," he said, adding that Broussard is in recovery and doing well. "She's truly altruistic and almost ... ethically needed to help." Since she has blood type O, the so called "universal" donor type, it was easier to make the chain happen, Katznelson said. "Blood type O is like gold," he told ABC News. "It really opened up a lot of possibilities." Using sophisticated software, Katznelson identified a chain of matches from a database and the transplants took about a month to coordinate before surgery day, he said. The chain ended because the father of the final recipient was blood type A, and they didn't have anyone with that blood type to donate the kidney to, he said. 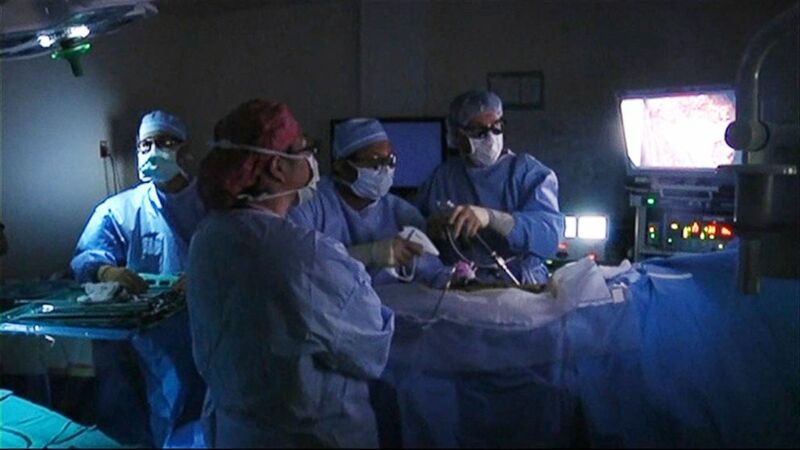 In all, 101,586 people are awaiting kidney transplants right now, according to data from the Organ Procurement and Transplantation Network, the organization under contract with the federal government. Of the 16,895 kidney transplants that took place in 2013, 5732 came from living donors, according to OPTN. (KGO) Kidney transplant chains happen when every kidney transplant recipient has a loved one who then donates one of their kidneys to a stranger.